Select either Friday or Saturdays for the best results. Click to search all Scottish Locations. This cottage sleeps five people in three bedrooms. The Woodcarver's Cottage is a lovely cottage in a crofting community on the Isle of Lewis. This pretty whitewashed stone cottage is very comfortable and fresh, and is just a 5 minute walk to the beach. With three bedrooms a ground floor double and a first floor double and single, it sleeps five comfortably. There is also a shower room, a kitchen and a sitting room with an open fire. Outside is a lovely lawned garden, ideal for enjoying the peace Eoropie offers. The Woodcarver's Cottage is a fabulous base for exploring this area. Three bedrooms: 1 x ground floor double, 1 x eaves single, 1 x eaves double. Shower room with shower, basin and WC. Fitted kitchen. Sitting room with open fire. Porch/boot room. Oil central heating with open fire in sitting room. Electric oven and hob, microwave, fridge/freezer, washing machine, TV/DVD with Freeview. Electricity and starter pack for fire inc. in rent. Bed linen and towels inc. in rent. Off road parking for 2 cars. Garden with seating. One well-behaved dog welcome. Sorry, no smoking. Shop 1 mile, pub 1.5 miles. Coast 5 mins walk. The cottage was perfect and in a lovely quiet location. 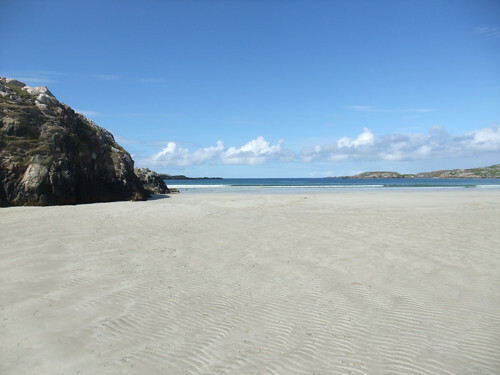 Wonderful tidal beach of white sands on the west coast of Lewis near Mangersta. Arguably one of the best beaches of them all! 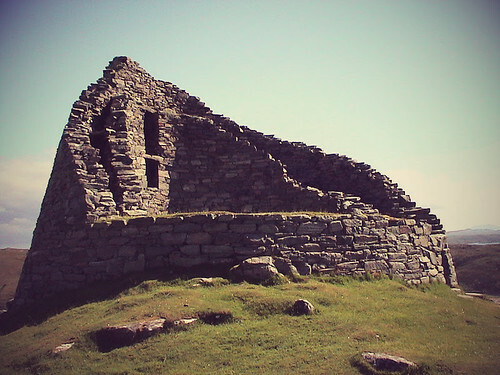 Dun Carloway is one of the best-preserved Iron Age Brochs in the whole of Scotland dating back to something like 1st century AD. It is near Callanish and should be visited. 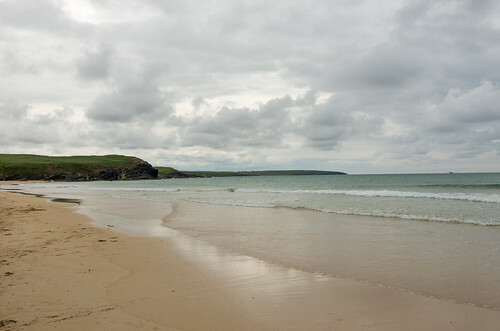 Wonderful location on Lewis West Coast near Mangersta + sauna + jacuzzi. Sleeps 4. Wifi Yes. No Dogs.